I just spent several stimulating days in Boulder, Colorado, thanks to an invitation from my longtime friend and social sector leader, Chuck Lief. Chuck is the president of Naropa University, but we first met when he was leading the Greyston Foundation, a pioneering social enterprise known for originally making brownies for Ben ‘n Jerry’s ice cream while employing formerly incarcerated individuals as the primary workforce. Chuck and I were involved with the founding of the Social Enterprise Alliance (SEA) in 2000, the nation’s association for organizations using the tools of business to accomplish social good. Chuck was the second chair of SEA and I succeeded him as the third chair. So, we go way back in our shared commitment to growing the social enterprise movement. Chuck had been suggesting for quite a while that I come to Boulder both to speak to Naropa students and connect with the vibrant local tech scene. 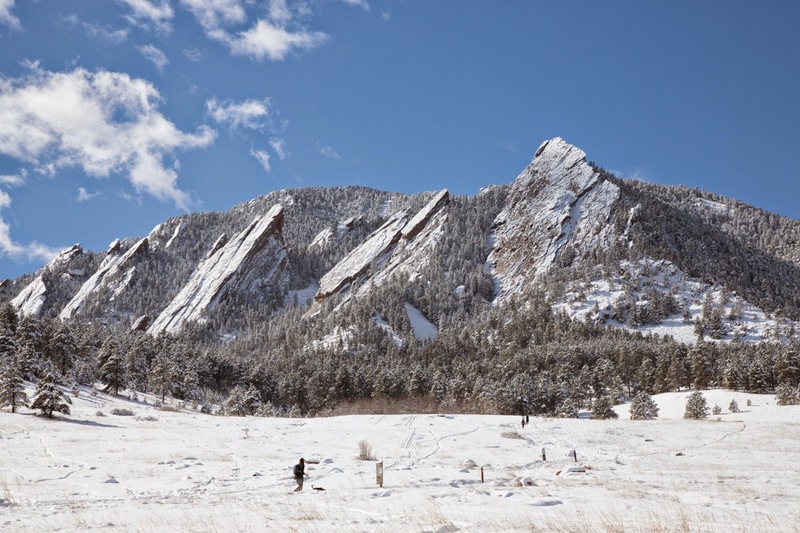 Last week, I had the pleasure of visiting Boulder and seeing the winter beauty of the place right after a big snowfall as well as of connecting with many people excited about social impact. My first stop was Prof. Laura DeLuca’s class on Social Innovation and Entrepreneurship. The majority of Naropa students in the class were working on their own social enterprise concepts. I was able to participate in the Naropa tradition of “bowing in” at the beginning of classes: a short meditation exercise to focus the mind on the people in the room. It was easy to focus on bringing my story to these students and hoping to help inspire them on their way to doing more social good. Naropa University board chair Jerry Colonna opened the class with his transformational story of terrific success as an investor (Flatiron Partners, JP Morgan) that left him spiritually empty inside and how he changed his life dramatically and for the better. My message was about my geek identity, and how important it is for geeks to see their talents focused on helping all of humanity, not just the richest 5%. Colorado University doctoral student Kyle Thompson concluded with a presentation on the Business Model Canvas, a more agile way to plan for a new enterprise than a traditional business plan. On the spot, Kyle had me do the canvas for Benetech’s Bookshare social enterprise: took us less than ten minutes to capture the essence of Bookshare! Chuck and I talked more about his plans for growing Naropa and its mission of helping students transform themselves and the world. I knew a little about Naropa’s Buddhist roots, but I came away understanding much more about its nondenominational approach and why social entrepreneurship was an important part of its future plans. One very cool thing I learned was that the Unreasonable Institute will be hosted at Naropa for the next couple of years. I really like Unreasonable’s approach to unlocking entrepreneurial potential to overcome our world’s greatest problems, and hope to find the time to participate as a mentor there. Chuck and Jerry Colonna hosted a reception at Boulder’s Impact Hub (such a cool organization, I am a founding member of the San Francisco Impact Hub) to connect me with the tech community in Boulder. I have half a dozen great connections as a result. There were three different social enterprises developing software applications similar to our Martus software, but in other areas of the social sector. We mainly commiserated about the challenges of the app business model! I’m looking forward to trading notes on that. I had a chance to talk to Seth Levine, co-founder of the Foundry Group, and Ryan Martens, founder and CTO of Rally Software, about the One Percent Initiative (startup companies give one percent of equity or annual profits) and the Entrepreneur's Foundation of Colorado that they are strongly promoting among their companies and the Colorado region. It’s a great model that was pioneered in the Bay Area but now seems to be having even bigger success in Colorado. Of course, there were far more conversations than I can capture in a short blog post. It was gratifying to learn about new bold ideas and meet with experienced entrepreneurs looking for opportunities to make more social impact as well as young people (including some fellow geeks) with strong drives to make the world a better place! I’m looking forward to coming back and doing what I can to support Chuck and the Boulder community to do even more to transform the world.